I thought this was a joke when my good friend texted me while driving from an appointment; however, it's not. 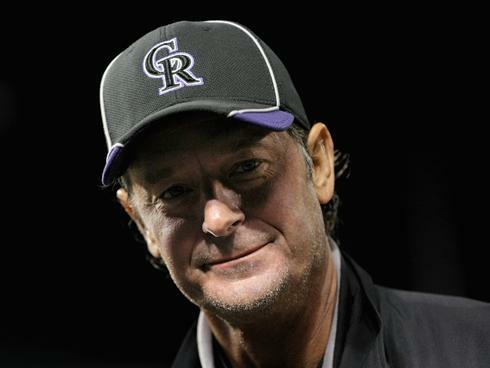 It looks like veteran southpaw Jamie Moyer - at the ripe old age of 49 - has been signed by the Orioles to a minor league deal. From Roch's Blog: BOSTON - The Orioles added to their ever-growing veteran pitching depth today, signing 49-year-old left-hander Jamie Moyer to a minor league deal. Moyer has been assigned to Triple-A Norfolk and is scheduled to start for the Tides Saturday in Buffalo. Moyer began the season with the Colorado Rockies and went 2-5 with a 5.70 ERA in 10 starts before being designated for assignment. In 25 major league seasons, he's 269-209 with a 4.25 ERA and at least nine lives. This will be Moyer's second tour of duty in the Orioles' organization. He pitched for them from 1993-95, going 25-22 with a 4.41 ERA in 75 games (66 starts). Manager Buck Showalter said Moyer will get two or three starts with the Tides while the Orioles evaluate him. I guess it would not hurt the Orioles to see what Moyer has; however, why sign a guy closing in on 50 to any deal? I know he's a class act, great guy, and what not, but I'd prefer to see a starting rotation spot taken by a prospect half his age.